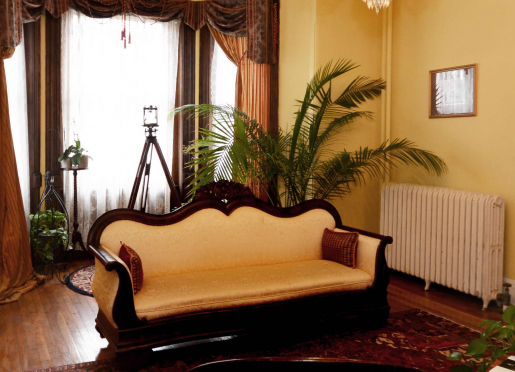 The Cinnamon Room is on the second floor, in the back of the house. 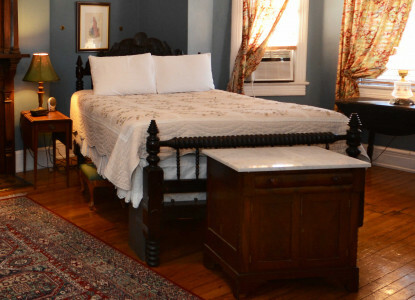 This room is furnished with a king-size bed, Cable TV, writing desk and includes an en-suite bath. 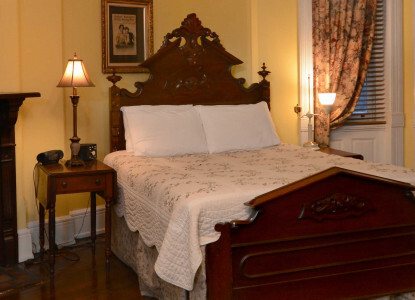 This second floor guestroom overlooks Logan Circle Park with a commanding statue of General Logan dating back to 1901. 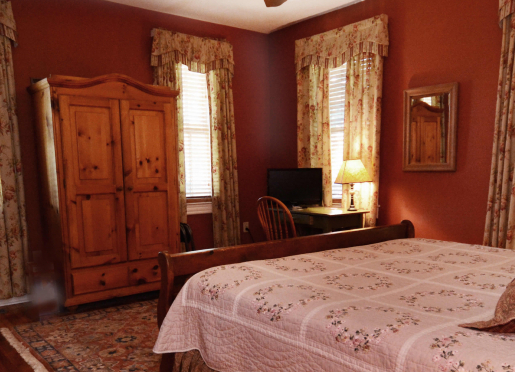 Also a second floor guestroom but situated facing the rear of the home. 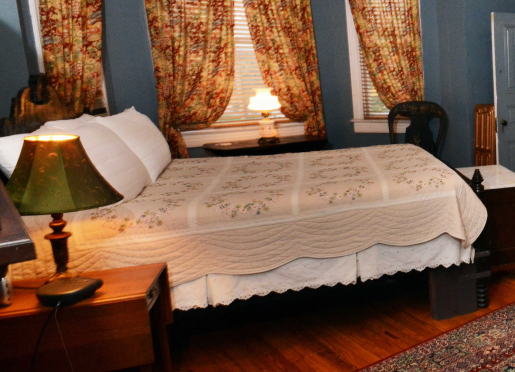 Springtime thru early fall, this rooms window is filled with the color and brilliance of a 20 year old Magnolia tree from our rear garden/deck area. 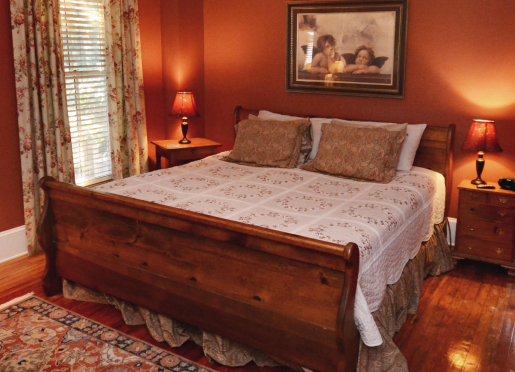 Located on the third floor, this oversized room is decorated with a Scottish flair. We offer guests a choice of 3 oversized guestrooms, 2 located on the second floor, and one on the third floor. 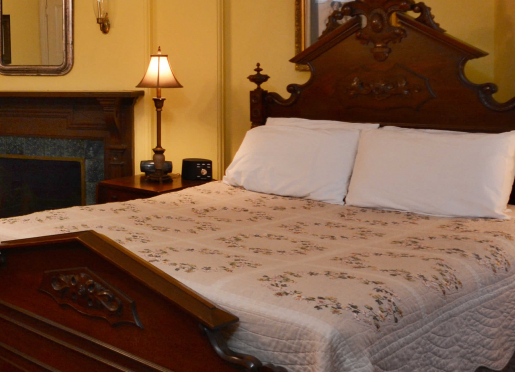 All guest rooms include complimentary WiFi, and television with cable. 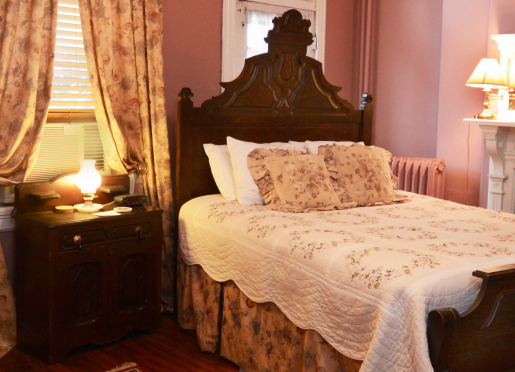 Thank you for making an inquiry about staying at Chester A. Arthur Bed & Breakfast .